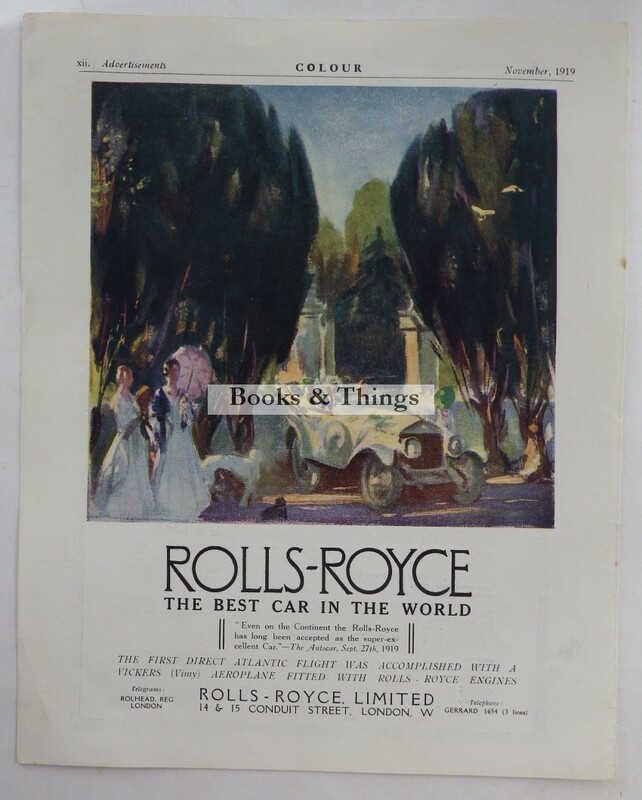 Rolls Royce: Original colour advert from Colour Magazine November 1919. 310 x 250mm. Category: Motoring. Tag: Rolls Royce advert 1919.